Copyright © 1996 by the Confederate Air Force and Jeff Ethell. All rights reserved. In 1988, Col Jeff Ethell, well-known aviation author and pilot, had the opportunity to fly Bill Anderson's P-40E Kittyhawk at the National Warplane Museum. Having never flown a P-40 before, Ethell recounts the exciting adventure, describing the challenges and unexpected trills of piloting one of World War II's most recognized fighters for the first time. I had to push down on the lever to keep it from banging to closed. The P-40E Kittyhawk immediately responded by gaining speed. Those "cooling gills," as the British call them, produce a great deal of drag when opened on the belly of the fighter but are the only recourse to cooling a hot engine alter a climb at military power. A quick glance around the cockpit proved I had to tidy things up. The P-40 is a genuine product of the 1930s  with levers, switches, pumps and gizmos all over. In order to fly one it would help if the pilot had a steamship captain's license or doubled as a concert organist on one of those massive multiple register instruments which require all kinds of pulling and shoving of stops and levers. With all in place, I tried a few turns and was surprised by the rapid ailerons. By comparison, the P-51 is locked in cement. A glance down the nose gives the pilot a more pronounced feeling of sitting far back behind things than the Mustang due to the pronounced carburetor scoop atop the cowling. And slightly to the right, atop this impressive nose, is a genuine ring and bead fixed gunsight, straight out of "G-8 And His Battle Aces." A glance out the sides of the canopy was another shock  there was hardly any wing out there. No wonder the ailerons are so responsive. As the adrenaline from my first takeoff was reabsorbed, I took time to drink in my surroundings. I was flying the first fighter my Dad checked out in at Luke Field in 1941. Not only that, it was painted in the colors of Flying Tiger ace R.T. Smith, a good friend who had flown with Dad later in the war. In spite of being surpassed as World War II went on, the P-40 Hawk series became America's symbol of determination to beat a tenacious enemy as Spitfire was to the British. sheer joy. I had discovered the most delightful aspect of the P-40 without having heard about it. Alter years of reading that the P-40 could not maneuver, particularly with a Zero, and that it had to make diving slash attacks to be effective, I had come to accept the general opinion that it was outclassed by almost everything else flying. 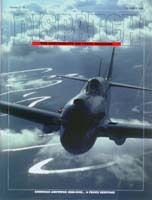 Sitting in the cockpit, with the controls in my hands, having written a book about the aircraft and said all those things, the accepted history in my brain was wrestling with the seat of my pants. No question it did not have the top speed and high altitude performance to disengage targets at will, but it was certainly more maneuverable than other American fighters, particularly the P-51. I shoved the nose down. Within a few seconds speed was picking up rapidly until I was approaching 400 mph with no effort. The drawback to all this speed is having to virtually stand on the left rudder to keep the ball centered. Every power or speed change brings an immediate trim change with the pilot must either counteract or trim out. It can be a real handful in a dive or a loop. A gradual pull out was a fight with very heavy elevators but no question the P-40 could rip through an enemy formation and get away. If the Zero was more maneuverable it must have been fantastic. I began to appreciate Saburo Sakai's comments in his book "Samurai." Of the fighters he faced during 1942, he considered a well-handled P-40 to be among the most formidable. I now understood why. Of the many types I have flown, this Curtiss product is among the most enjoyable to fly. just avoid them. There was a constant crosswind around 15 degrees from the right at 10 knots or so. With assurances it could be handled, I leapt off again to patrol the skies and chase imaginary Zeros with my ring and bead sight. Back to the field, left break and around onto final with gear and flaps down. As the long nose settled toward the runway it was clearly pointing to the right as I corrected for the crosswind. Right wing down, left rudder and I brought it down onto the runway with no bounce  I was on and tracking straight! What a relief. The tail came down and she was still going straight. Slowing down to under 40 mph, just as I started to let out the breath I had been holding, the Kitty darted to the right quicker than I could respond. The runway edge had quickly disappeared beneath the right wing by the time I stabbed left rudder  it was so stiff that it felt as if I had kicked a brick wall. Once straight, she went for the right again. This time I had to tap left brake while stabbing left rudder and fight her all the way down to a stop. Even the last few miles an hour were a workout. As I pulled off the end of the runway and braked to a stop, my legs were jumping on the pedals and I noticed the sweat under my flight suit. Almost in a stupor I raised the flaps and cranked the canopy back, then checked the coolant temp  YOW! She was at redline again and the red warning light was flickering. Cowl flaps were open but facing downwind no air was coming through the radiator. Without enough time to feel sorry for myself, I taxied back to parking and shut down, then lapsed into a state of semi consciousness after making sure mags and battery/generator switches were off. On the last roll-out the P-40 of landing legend rose up and bit me in the hind end, just to let me know who had tamed whom. Suitably chastised, I sat still in the cockpit for a few minutes, basking in the experience of having flown an airplane and not having simply driven one like a car. That is what continues to attract me to these great warbirds of the past. Not only were they part of what won World War II, but they had to be flown by men who relished the challenge for its sake. To have been a part of that, even though it has been so many decades ago and is but a shadow of actual combat with its horrible realities, causes me to admire the men who flew. There will never be another breed quite like them.